Wings for Autism has been expanding across the country since last year, and since national expansion began more than 500 families have benefited from this innovative program. 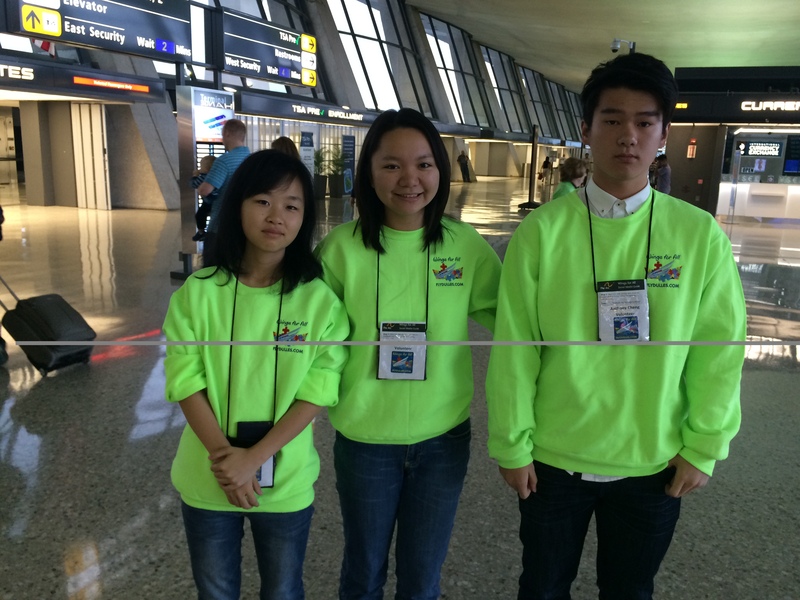 While this program obviously appeals to individuals with I/DD and their families who want a test run of what travel on an airplane might be like, this year we were pleasantly surprised when 3 teenagers made it a mission to help fundraise for this exciting program in addition to serving as volunteers. Their actions show it doesn’t matter what your age, you can make a difference in the lives of people with I/DD, all it takes is a little passion. Anthony (Chenghao) Cheng, Lily Zhu, & Xinyi Xie reached out to friends and family to raise hundreds of dollars for Wings for Autism. We had a chance to catch up with them during our event at Dulles International Airport in northern Virginia earlier this year to learn about what sparked their interest in this program. Their answers were inspiring. Why did you all decide to go out of your way to help raise money for The Arc’s Wings for Autism Program? Xinyi – Firstly because I enjoy to spend time with children. It is my understanding that it is important for people with disabilities to be part of society and make friends. I am passionate about that. Anthony – Everyone deserves to be independent, and I should help. Lily – I love children also and interacting with people with I/DD. And it gives me joy to see them being independent and being happy. Why is it important for people with I/DD to have someone to count on? Xinyi – We all need support in everything. We needs support in what we do so we should give support to others too. Lily – It is important for kids to count on people other than their family. That will help them become more confident. Anthony – It is exciting to see kids grow and be stronger. Lily – Important for people to be aware. It is hard to empathize if you don’t interact with other people. But events like this help you realize the needs of others and help them be independent. Volunteering is an important step to raising awareness. Xinyi – Leading by what we do. If people do it, others will follow in their steps. A big thank you to three amazing volunteers, donors and advocates! We are so thankful for your support of The Arc and the example you are setting for your peers.